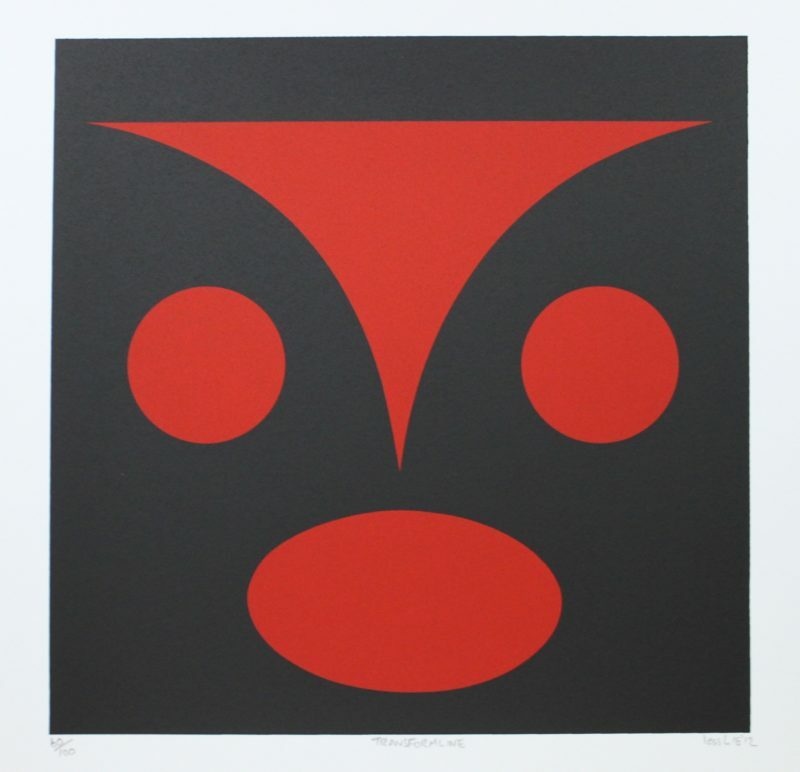 "The overall goal of this design is to push the limits of graphic simplicity within contemporary Coast Salish art. 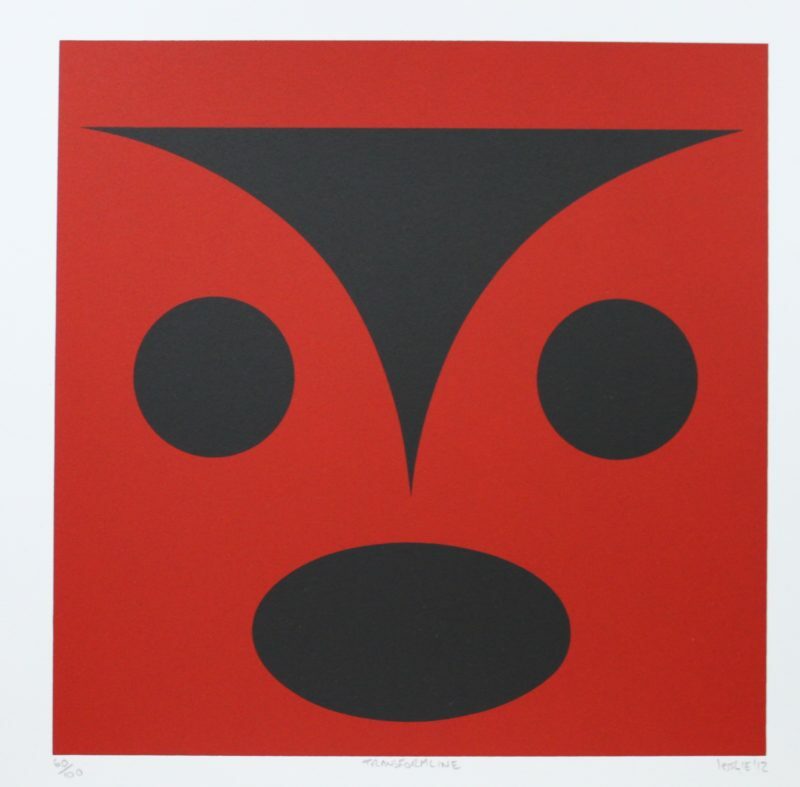 Without succumbing to a Haida-centric view of Northwest Coast art, I acknowledge that the works in Robert Davidson's "Abstract Edge" exhibit inspiRED this diptych design. Within the design, a human face transforming into an owl is depicted, as well as salmon heads with circular eyes and heads defined by the central, negative trigon. Through the Northwest Coast design device of visual punning, the transformation of life on land, air, and sea symbolizes the symbiotic interconnectedness of life in the circle of the earth." This limited edition silkscreen print titled "Transformline" by lessLIE was hand produced by the screen printing process. It is the only limited edition printing of this design. The artist has inspected and signed each copy in the edition. All trial copies of this edition have been destroyed and the printing stencils obliterated.